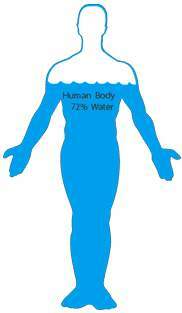 Once we understand that the body is more than 70% water and that water controls virtually every aspect of our health, we can begin to understand its true importance. Not just the water we drink, but the water that we shower in... cook with... prepare juices, teas and coffee with... affects our health significantly. Water is the foundation of the body, and, like any structure, if the foundation is of poor quality, then strength and longevity will not be achieved. Unfortunately, water is often tainted with chlorine, lead, high levels of harmful bacteria, and other unwanted chemicals and contaminants. Even bottled water can contain these same contaminants, and moreover it is very expensive. Many filtration systems do not remove pathogenic bacteria and many remove the beneficial minerals that your body needs. The Water Key has carefully selected a diverse assortment of filtration systems and purification systems that offer a wide range of uses. From Whole House Filters to Portable Purifiers and everything in between, you’ll find only the highest quality systems that have been tested to authenticate their credibility.